Now that school is out for the summer, I find that now more than ever I need some time at the end of the day just to veg out in front of the TV with a good show. Keeping 4 young boys occupied all day is exhausting and I look forward to a little "me" time with Netflix each month. For me, this June has been all about discovering a new fantastic show and catching up with an old favorite. At the beginning of the month, my neighbor had mentioned how excited she was for new episodes of Sherlock on Netflix. When she told me how much she enjoyed this show, I thought it was about time I tried it out. It only took a few minutes into the first episode for me to be completely hooked. 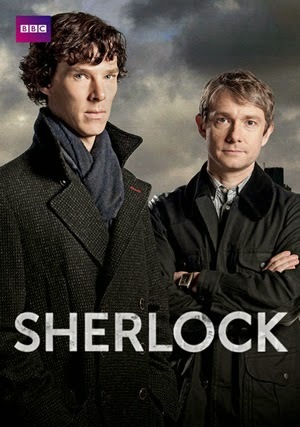 I love good mysteries and Sherlock is seriously the best I have seen in a long time in that genre. Benedict Cumberbatch (Star Trek: Into Darkness) plays the most perfect, quirky Mr. Holmes and the things that he says keeps me laughing every episode. Of course there is his trusty sidekick Dr. Watson, played by Martin Freeman, who you may recognize as Bilbo Baggins from the two The Hobbit movies. As a huge Lord of the Rings and The Hobbit fan, I *may* have yelled out "Look, it's Bilbo!" at the TV when I recognized him. Dr. Watson and his blog are one of my favorite parts of the show. The best part of Sherlock? The episodes are long, around 80-90 minutes each. This means that I'm not blowing through them at my usual speed, but more importantly there is more show to enjoy! 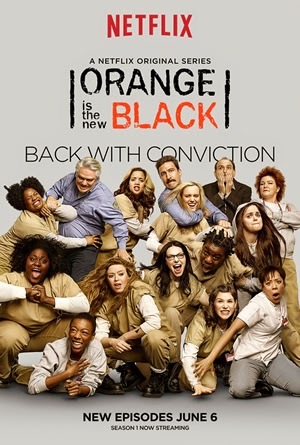 Since my husband and I are enjoying Sherlock together, on the nights when I'm solo I immerse myself in new episodes of Orange is the New Black. In between seasons one and two, I totally forgot how much I loved this show! I actually had a few left of season one to catch up on, which I flew through in two nights and then dove right into season two. I think this show gets better and better as it progresses. I don't sit down and watch it every night, but when I do I usually find myself watching a minimal of four episodes. It makes for a very long night, but it is more than worth it to see Piper and the Litchfield gang again. This show cracks me up but also intrigues me as we wait to see the outcome of certain storyline. 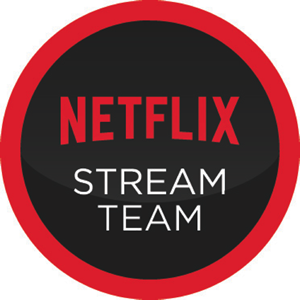 If you find that you need to unwind with some good TV at the end of a long Summer day, Netflix has even more popular shows to choose from. In addition to Sherlock and Orange is the New Black, I highly recommend Parenthood. It is one of my favorite current shows and I never miss it when its new on NBC. I would go as far to say that I feel it is a must watch for all moms. 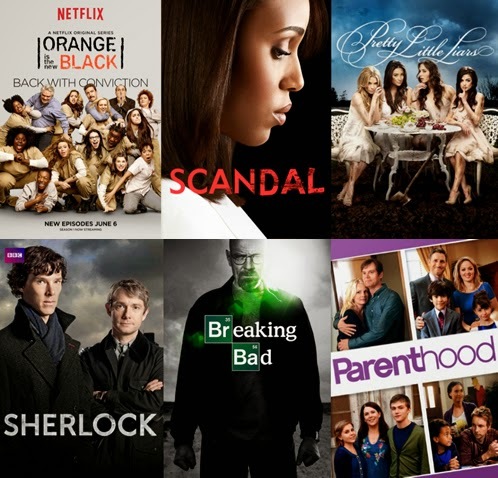 What shows do you plan on indulging in on Netflix this summer?